Canada won its second CONCACAF women's championship en route to the FIFA Women's World Cup Germany 2011. At the CONCACAF / FIFA Women's World Cup Qualifiers in 2010, Canada won all five matches, including both the group finale and championship final against the host Mexico. Canada won the final 1:0 on 8 November in front of a packed house at Estadio Quintana Roo in Cancún, capturing Canada's second CONCACAF women's title. At Germany 2011, Canada lost all three matches in the group phase, notably to host and European champion Germany, eventual fourth-place finisher France, and African champion Nigeria. In January 2012, Canada qualified for the Women's Olympic Football Tournament. At home in Vancouver, Canada finished second at the CONCACAF Women's Olympic Qualifying tournament. Canada qualified with a 3:1 win over Mexico on 27 January at BC Place, but then lost in the final to perennial rival USA. 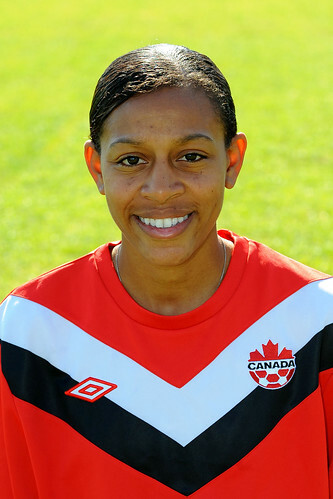 CONCACAF champion Candace Chapman has represented Canada at two FIFA Women’s World Cups and one Women’s Olympic Tournament. She has also won a gold medal at the Pan American Games and a silver medal at the FIFA U-20 Women’s World Cup. 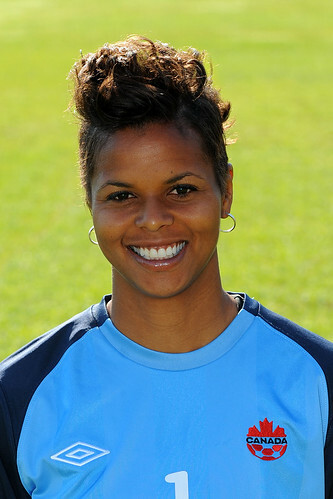 At the professional level, she won-back-back Women’s Professional Soccer titles in 2010 and 2011. CONCACAF champion Kara Lang represented Canada at two FIFA Women’s World Cups, including a fourth-place finish at USA 2003. She led Canada in minutes played in her first two seasons and also co-led Canada with 11 goals scored in 2003. In 92 appearances for her country, she scored 34 career goals. She also won a silver medal at the FIFA U-20 Women’s World Cup. 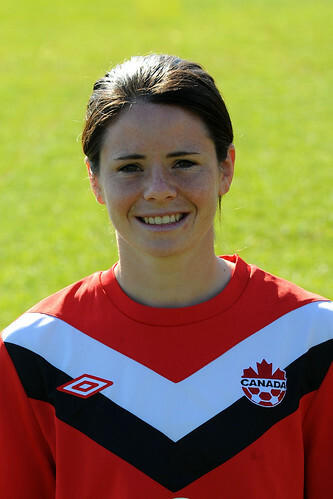 CONCACAF champion Diana Matheson has represented Canada at three FIFA Women’s World Cups, including a fourth-place finish at USA 2003. She set a national record in 2006 after making 45 consecutive appearances for Canada. She has participated in one Women’s Olympic Tournament and won a gold medal at the Pan American Games. 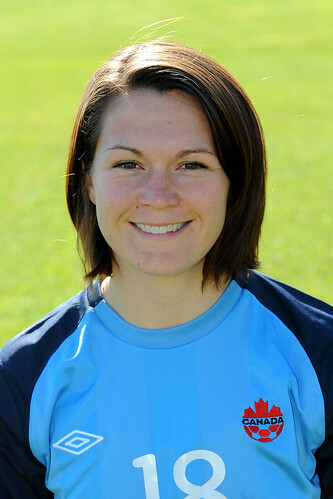 Erin McLeod has represented Canada at three FIFA Women’s World Cups, including a fourth-place finish at USA 2003. She has also represented Canada at one Women’s Olympic Tournament. She is a two-time runner-up in voting for Canadian Player of the Year honours. In 2002, she won a silver medal at the FIFA U-20 Women’s World Cup Canada 2002. 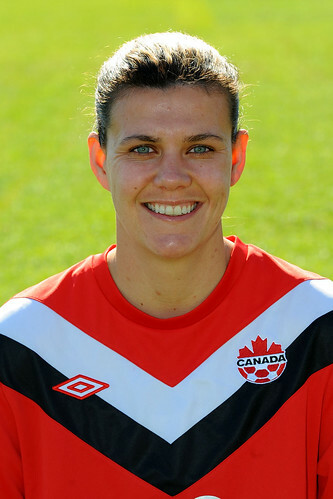 CONCACAF champion Christine Sinclair is a seven-time Canadian Player of the Year. She also Canada’s all-time leader in appearances and goals scored. She has participated in three FIFA Women’s World Cups and one Women’s Olympic Football Tournament. She has also won back-to-back Women’s Professional Soccer titles, winning championship MVP honours in 2011. 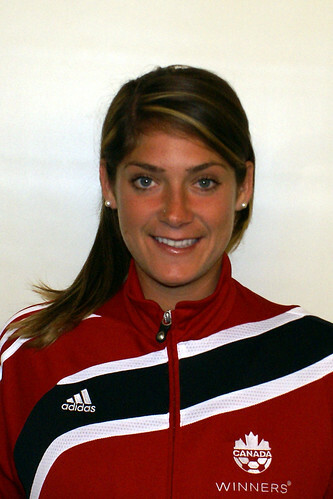 CONCACAF champion Rhian Wilkinson has represented Canada at three FIFA Women’s World Cups, including a fourth-place finish at USA 2003. She has also participated in one Women’s Olympic Tournament and won gold, silver and bronze medals at the Pan American Games. In 2011, she became the eighth women’s footballer to make 100 appearances for Canada.